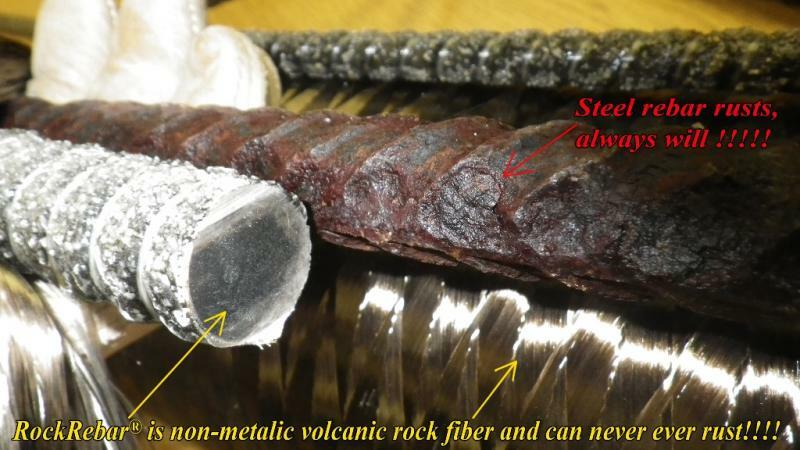 RockRebar®﻿﻿ was released after ACI 440.6-08 was published so basalt was not specifically mentioned. 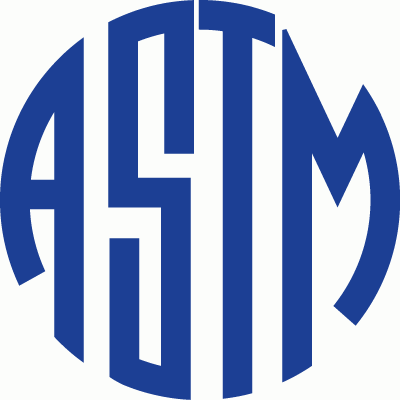 ASTM testing of RockRebar®﻿indicates that continuous basalt fiber in epoxy polymer materials exceed those of silica based fiberglass and easily meet American Concrete Institute (ACI) minimum performance requirements. 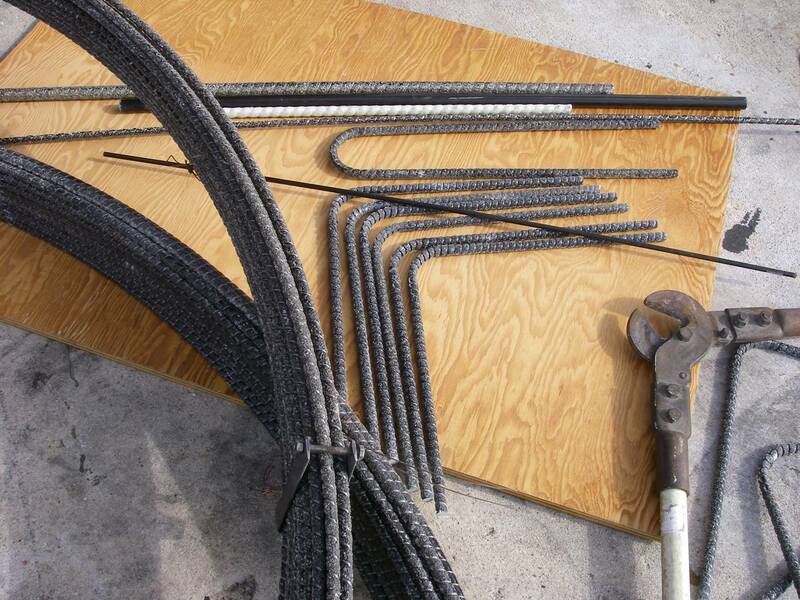 RockRebar®﻿﻿ can be placed to meet code requirements by using the calculations and installation guidelines for fiberglass reinforcement of concrete as defined in ACI 440.6-08. RockRebar®﻿﻿ is approved as natural fiberglass meeting the certification specifications of ACI 440.6-08 and signed of as fiberglass re bar. 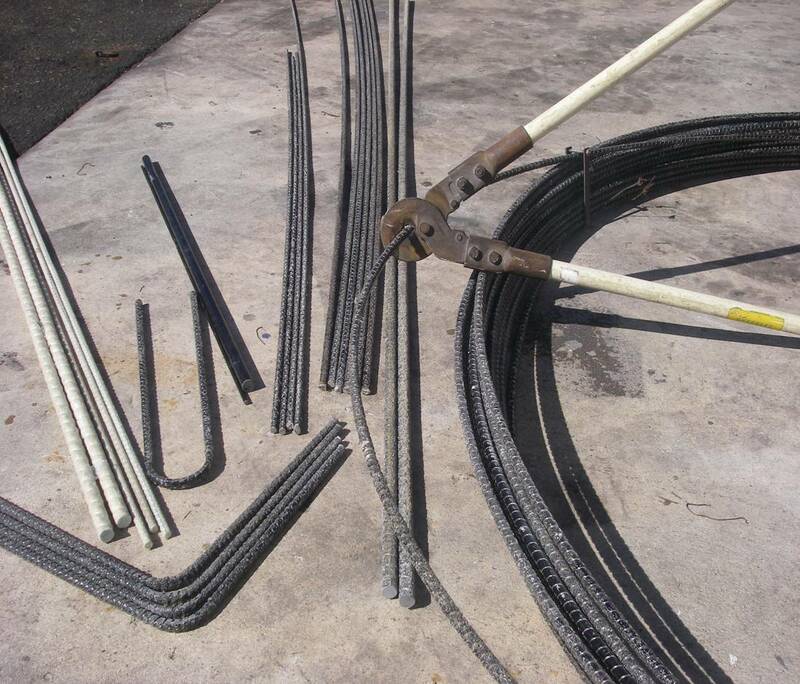 In doing so the job will simply be overbuilt because the physicals of RR are higher than fiberglass falling between fiberglass and carbon fiber yet at a sales price much lower than carbon fiber and slightly less in initial cost when com paired to corrosion resistant steels. The physical strength of RockRebar®﻿﻿ rods from 4 mm to 25 mm diameters rods change as the diameter goes up, with smaller diameter rods generally having higher tensile strength. Typical examples are shown below. Accelerated aging tests were made to evaluate the weight loss and the decrease of mechanical properties of glass and basalt fibers, in order to quantify their performance limits. The fibers analyzed are basalt, E-glass, boron free E-glass and AR-glass. The samples tested were unidirectional fabrics having the same surface density of (300 g/m2). ASTM E 2098-00 The test consists of immersing the specimens in a 5% (50 g/l; pH=14) sodium hydroxide aqueous solution (in distilled water) for 28 days in tight containers in order to avoid any evaporation loss, at temperature of 22°C ± 3 °C and at a relative humidity of 50 ± 5%. The specimens have to be straight during the entire test and the solution level is marked on the container, in order to monitor possible evaporation. After conditioning, specimens are well rinsed in distilled water and dried for 7 days in the same controlled laboratory conditions. The specimen’s weight was measured both before and after the aging in order to evaluate fibers weight loss. It is interesting to underline that E-glass fibers presented the greatest weight loss, of 3.87% (as average value), while basalt fibers presented the lowest one loosing only 1.04% of it`s volume after 28 days in pH=14 sodium hydroxide aqueous solution. Notice RockRebar®﻿﻿﻿ always has slightly less thermal expansion than concrete.